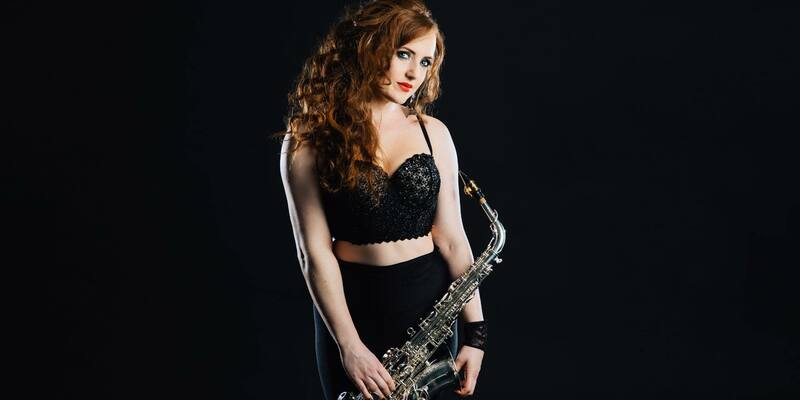 Sarah loves to perform all kinds of music on the saxophone from Pop to Ibiza Club tunes from Jubel by Klingdale and One Day by Bakermat. 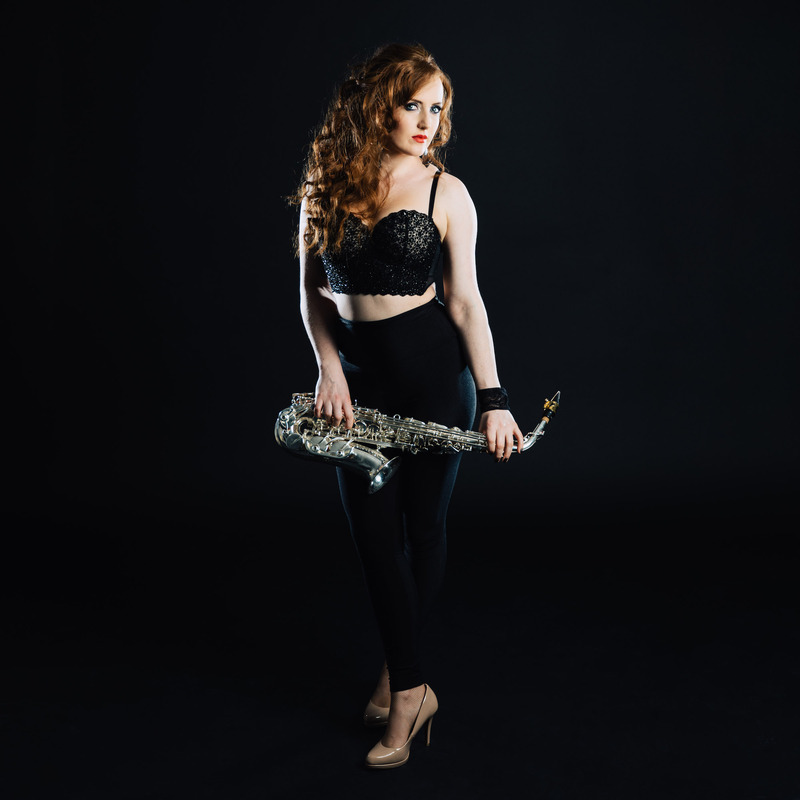 With the ever popular and growing genre of DJ LIVE MUSICIANS Sarah loves nothing more than to perform the latest Hed Kandi and Ibiza Saxophone Songs live to DJ. Sarah has toured worldwide, performing with headlining DJs at private parties, exclusive events and product launches across the UK and Europe. Sarah’s constant evolving love affair with music has led her to create her most recent project, Sahara’s DJ LIVE SHOW. An exhilarating performance with both electric violins and saxophone improvising live to DJ performing an infectious show of your favourite pop and dance music. 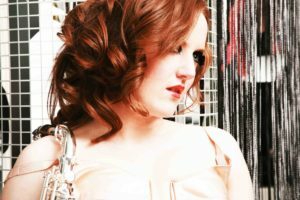 Saxophonist, Sarah Louise Ings, String Arranger, Composer, Producer and Multi Instrumentalist, studied at Guildhall School of Music and Drama. 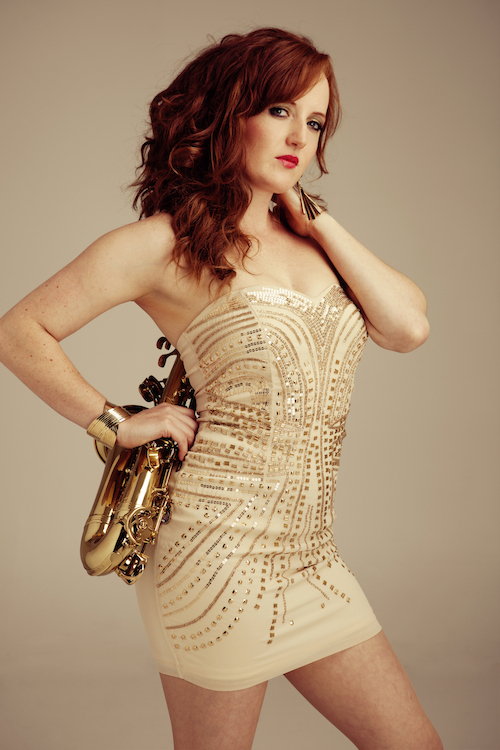 Sarah leads a wide and eclectic career as a musician performing everything from Club Sax Live with DJ through to her Pop and Classical Crossover Shows. Sarah’s career has led her to share a stage with the likes of Lionel Ritchie, Katherine Jenkins, Peter Andre through to performing to Olly Murs and Mark Ronson live on TFI Friday. Sarah loves to explore all kinds of music from Classical to Pop, performing to composing, producing music videos to art direction and music consultancy. Sarah’s vast understanding of music allows her to work seamlessly within all genres of music tailoring her performances and music repertoire for her audience. Producing her own shows Sarah’s music and performances always stay fresh and as a musician Sarah can continue to evolve within an ever changing industry. During the early years of Sarah’s career Sarah devoted a large amount of her time developing classical and filmic music. Pathing her way in the classical crossover world with a vision to change the way classical music is perceived. Bringing instrumental music to those who may not have heard live music before. This started with her band VISION, Sarah was commissioned by Classic FM and Yamaha to produce the show for their education show. 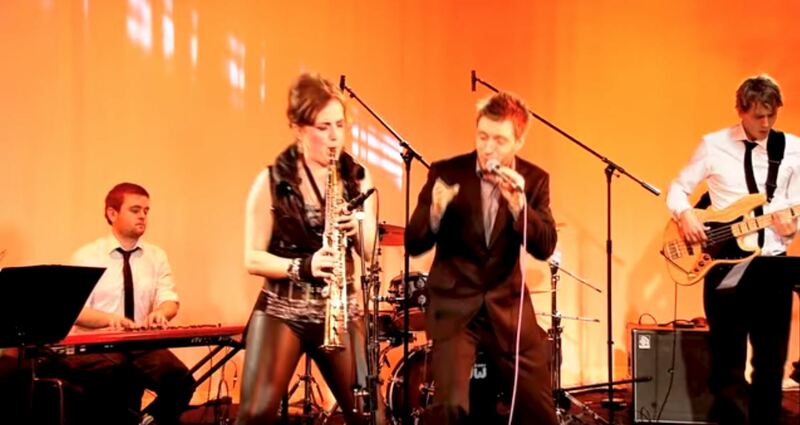 Sarah then went on to create classical crossover group Sahara, inspired by the traditional string quartet, replacing the lead violin with saxophone. Combining beats and choreography within their full stage show. 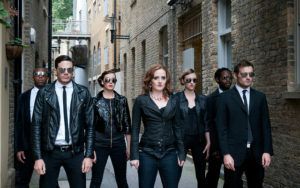 The release of their debut single Sahara Tango written and arranged by Sarah herself led Sahara to perform worldwide including sharing a stage with Peter Andre and Katherine Jenkins. Sarah developed this idea further by producing her own solo show with dancers, spreading her love for music and performing. Some of Sarah’s career highlights feature performances with a wide variety of artists. Sarah has toured with opera singer Jonathan Antoine, written for opera singers Operatico , arranged and produced music for laser violinist Lumina. Debuted her solo career at the Purcell Rooms, Queen Elizabeth Hall. Produced and toured with her band commissioned by Yamaha and Classic FM, opening the Hackney Empire with HRH Prince Charles. More recently Sarah’s career has led her to write and produce for all female saxophone ensemble Alter Ego which performed live on TFI Friday producing music for the TFI Friday Brass Off. Celebrity guests included Mark Ronson, Olly Murs and Little Mix. There is no stopping Sarah with her vision and musical creations, creating her own Live Lounge Project which performed live, broadcasting on Vimeo. 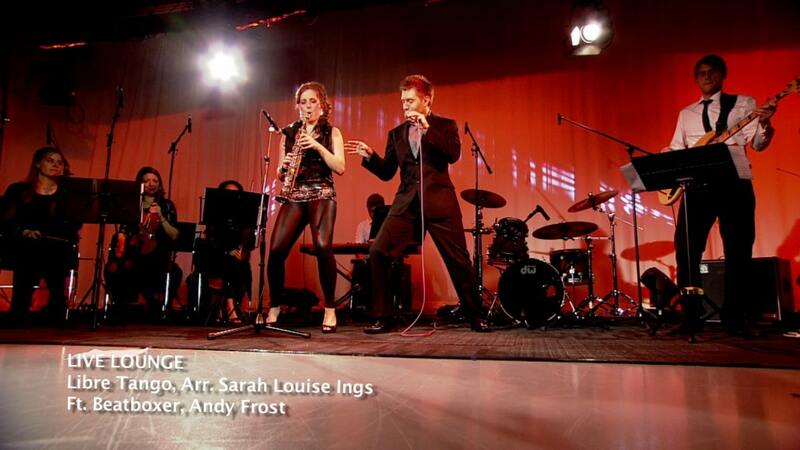 Live recordings from Sarah’s very own Live Lounge Project, performing live with her band. Writing a series of live orchestral and filmic music featuring singers and beatboxers in a three part series. Produced from start to finish by Sarah herself. The first of Sarah’s solo projects available to purchase and download on iTunes. Ings for Sahara. 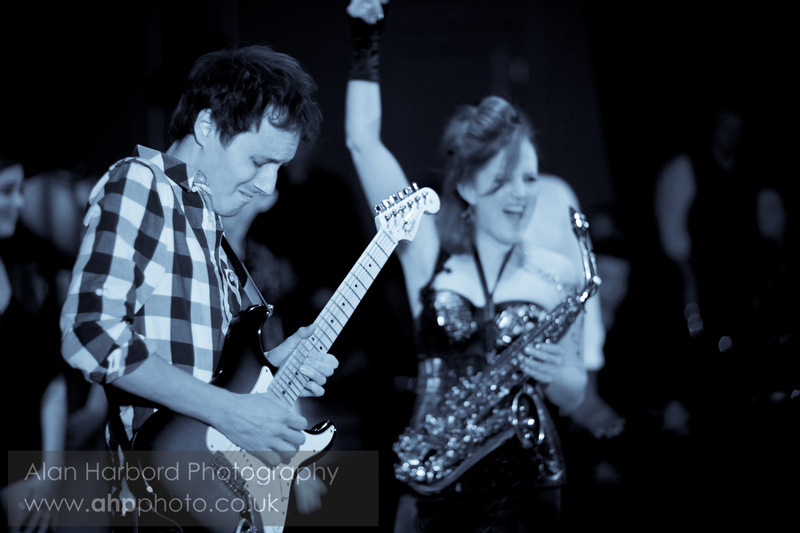 Their debut single released on iTunes and featured on Classic FM and the Ballroom Dance Compilation Album in Germany. 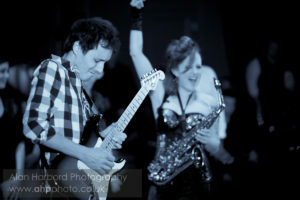 Photos from Sarah’s live show’s and studio photos. 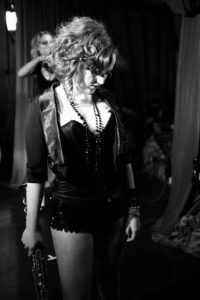 A variety of music video’s produced by Sarah Louise Ings showcasing her solo project. Sahara Tango – Written by Sarah Louise Ings. Club Mix Re Mix. Tango written by Sarah Louise Ings for string quartet and saxophone. 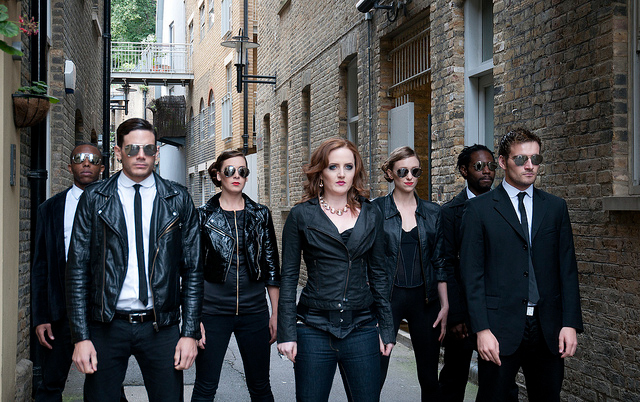 Music video was produced by Sarah Louise Ings, creative direction by Sarah, Choreography by dancer Francis Foreman. Sahara Tango is available to download on iTunes. One of Sarah’s favourite tunes to play on the saxophone, Over the Rainbow. A beautiful tune and works so elegantly as a solo unaccompanied piece on the saxophone. Filmed at the end of one of Sarah’s recent video shoots as a quick video for fun. Silver Lining – Composed by Sarah Louise Ings. Silver Lining is due to be Sarah’s debut single, written by Sarah Louise Ings. This track features singer Kwabs and MC Joleone. For more information on the release date of this single follow Sarah on facebook and Instagram. Sarah has a love for tango music and arranged one of much loved pieces by Piazzolla. Exploring the sound world of string orchestra, rhythm section and beatboxer.